There were more steam locomotives on display than I expected, and that were in the original published list. BR ‘Britannia’ Pacific’s are a personal favourite. When I was returning to primary school after lunch, I often used to see the ‘Golden Arrow’ with a Britannia on the front. 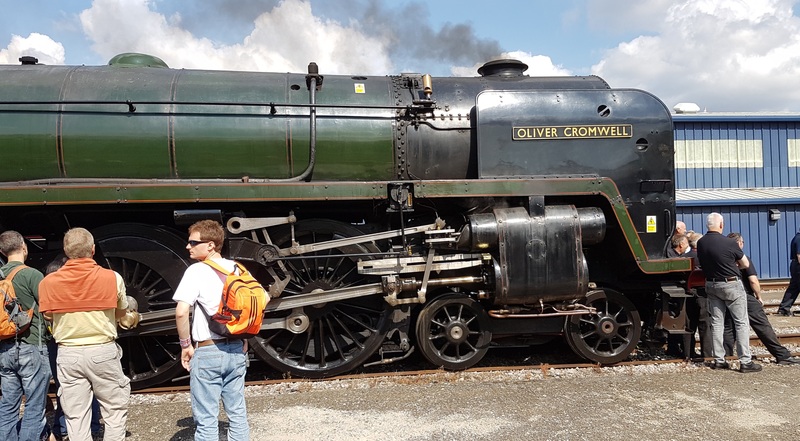 ‘Oliver Cromwell’ was one locomotive on the final railtour before the end of steam in the UK. I love the cork on the oil-box. 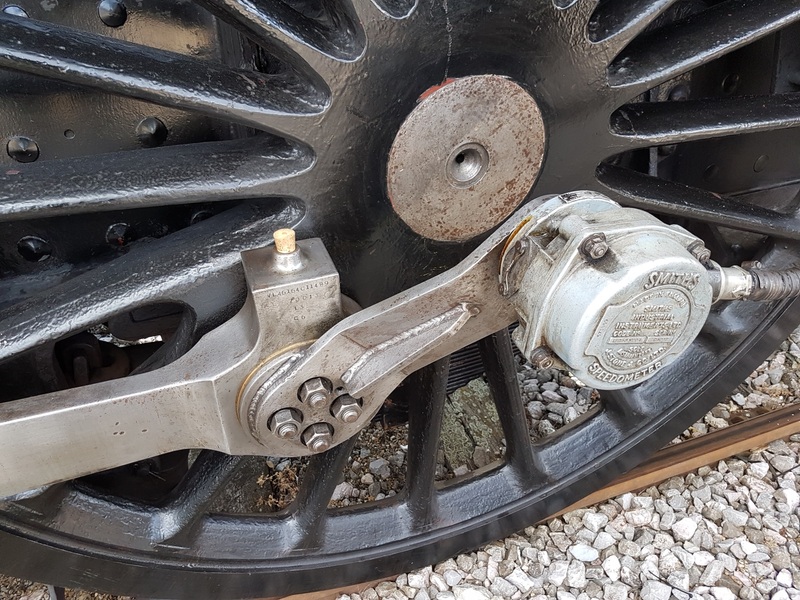 Another high-tech solution for steam…. 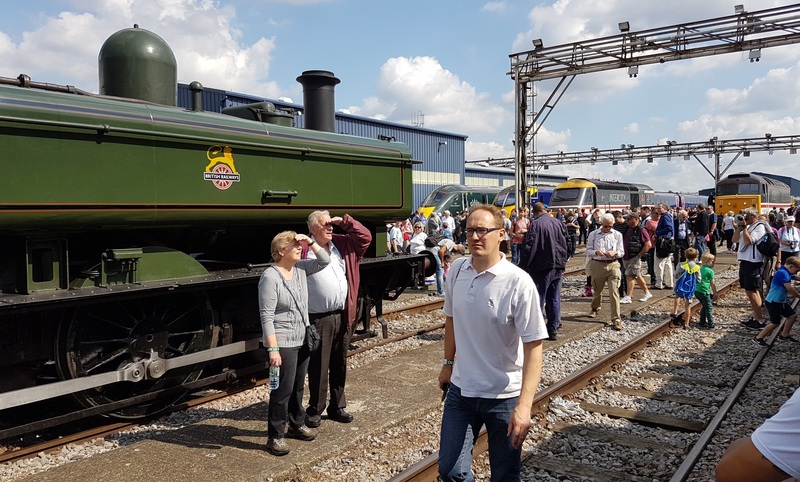 Also present was ‘Tornado’, the replica A1 class Pacific. In contrast, a modest ex-GWR pannier tank, that could be found anywhere from London to Birmingham to Wales to Penzance. 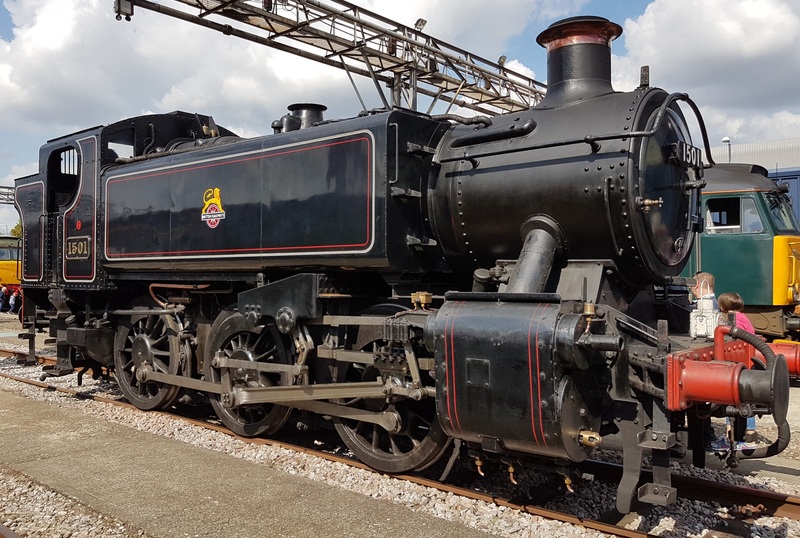 The 1500 class were built in 1949 in British Railway days, and were a most atypical Pannier, with outside cylinders, Walschaerts valve gear, a very short wheelbase, and virtually no footplate. They spent much of their short, 10-year, life on empty stock workings out of Paddington station. 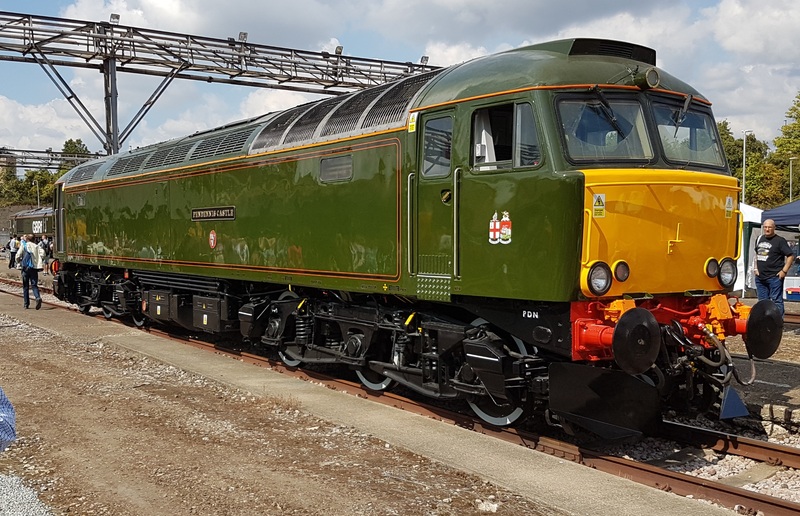 Class 50, Western, Warship, Manor and King classes…. 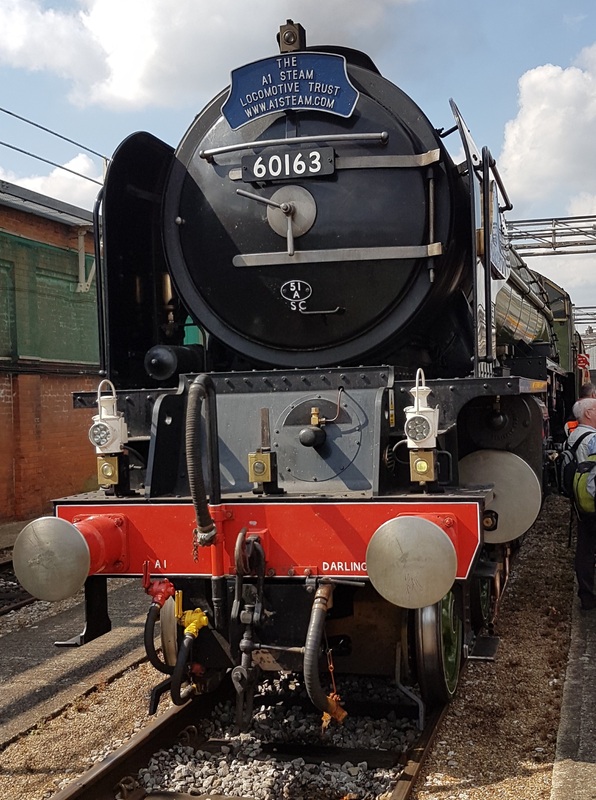 King class 4-6-0, 6023, King Edward II. 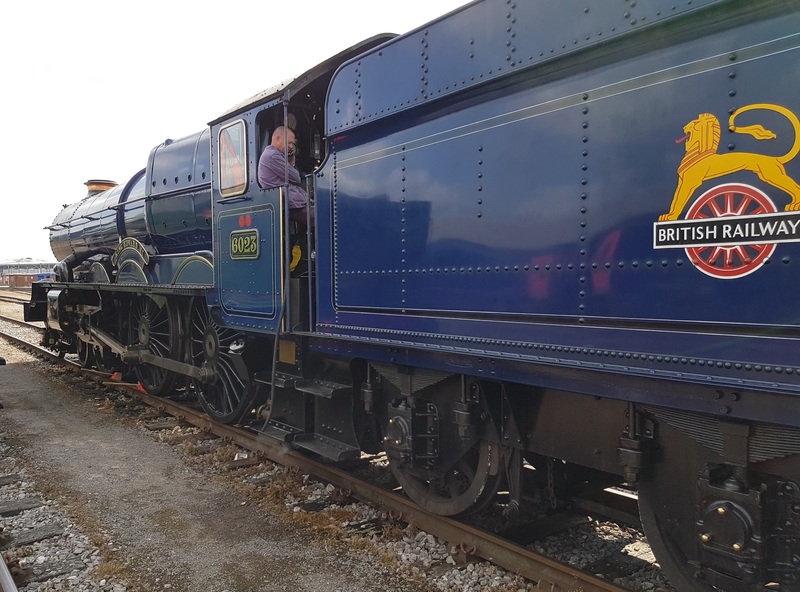 I love the early BR blue livery, originally specified for the highest powered express locomotives. Unfortunately it faded fast, so by 1953 most, if not all, blue locomotives were repainted in the better known green. I must also confess that I don’t really like the King class, with its strange leading bogie design. Give me a Southern ‘King Arthur’ any day. Sorry, but I won’t be buying DJM’s King, just because it’s there! 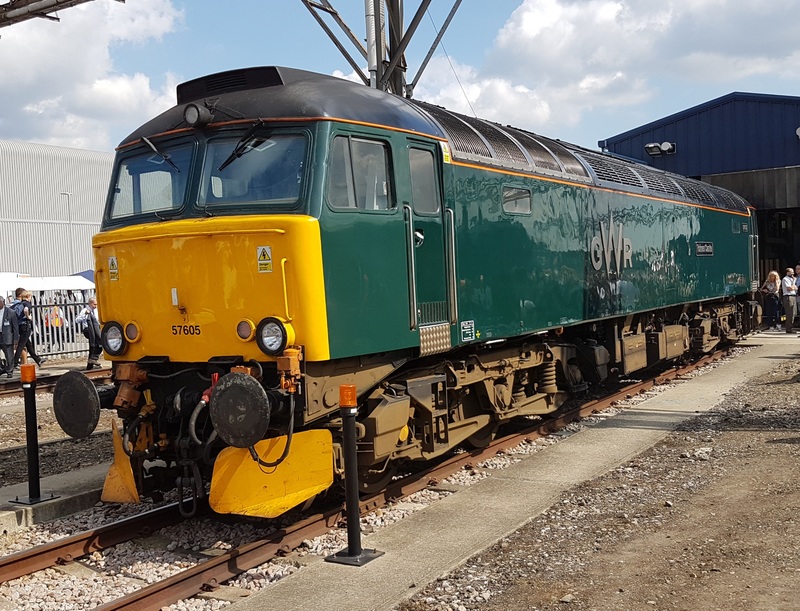 Class 47 and Class 37…. 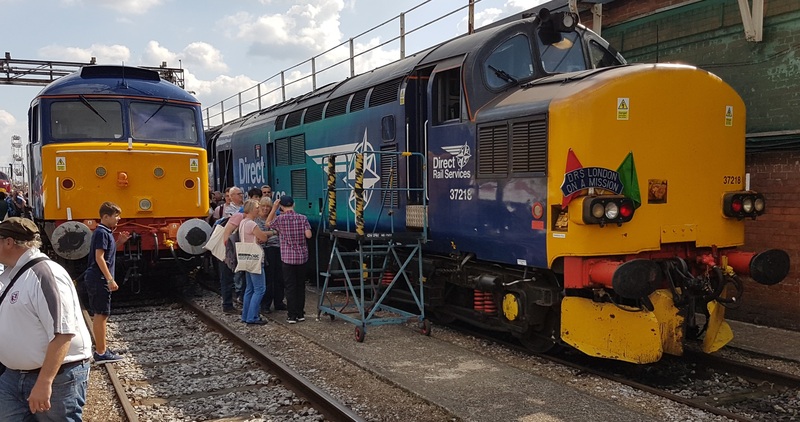 Two Class 47’s. When we first moved to Redhill, I used to take my son to Redhill station, and we occasionally saw an ‘Intercity’ livery 47 heading up the Brighton to Newcastle train. Two Class 57’s, with the iconic ‘Castle’ names. Finally, the prototype for everything department. 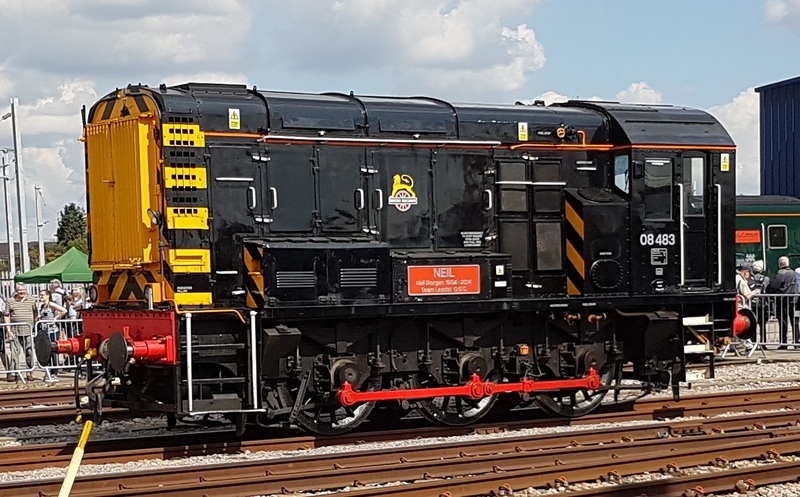 This O8 shunter is called ‘Neil’ on one side and ‘Scousey’ on the other. It has been known for people to do that with models of wagons and coaches to increase variety…. All in all, an excellent visit. 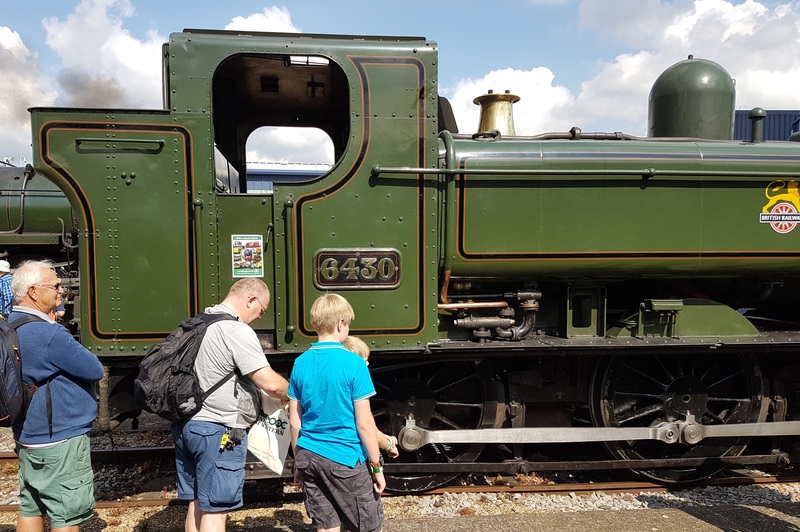 Plenty of interesting trains to look at, and there were plenty of stalls selling railway and model railway items and books. 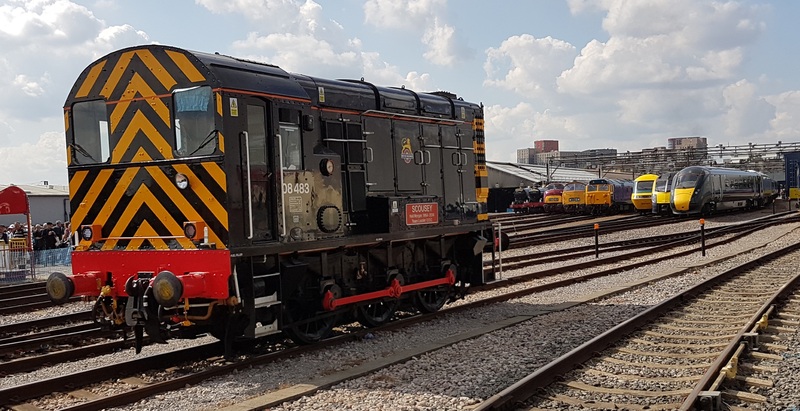 It was also very easy to get to Old Oak Common, with a train to Clapham Junction, then Overground up the West London Line to Willesden Junction plus a short walk. The most confusing bit was was Willesden Junction station, that resembled an M.C. Escher picture – you had to walk round five sides of a square to get to the exit! 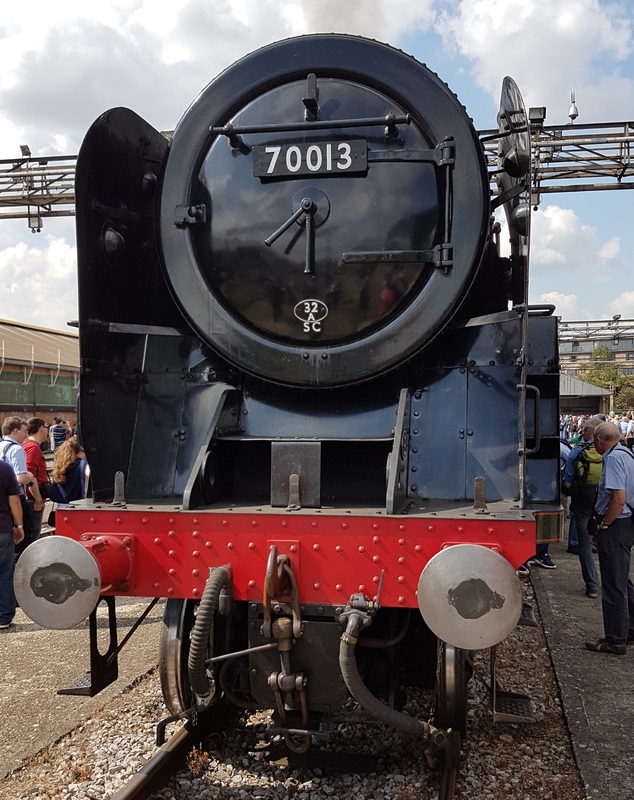 This entry was posted in Exhibitions, Inspiration, Out and about, Prototype and tagged exhibition, inspiration, prototype, railway. Bookmark the permalink.